Dan Murphy’s runs tasting events at its many stores. The business needed its online event management and booking platform (eTouches) to be seamlessly integrated into a range of other tools. We worked with eTouche’s API to integrate primary data sources with Dan Murphy’s website and numerous internal marketing and data platforms to ensure customers receive marketing material for relevant events and can seamlessly register on the Dan Murphy’s website. Automate the targeting of event invitations by customising content on the Dan Murphy’s website and email marketing platform. Permission built a communication layer between Dan Murphy’s local events database and eTouches. The purpose of this layer is to ensure Dan Murphy’s has fast, local access to events details and events registration details. 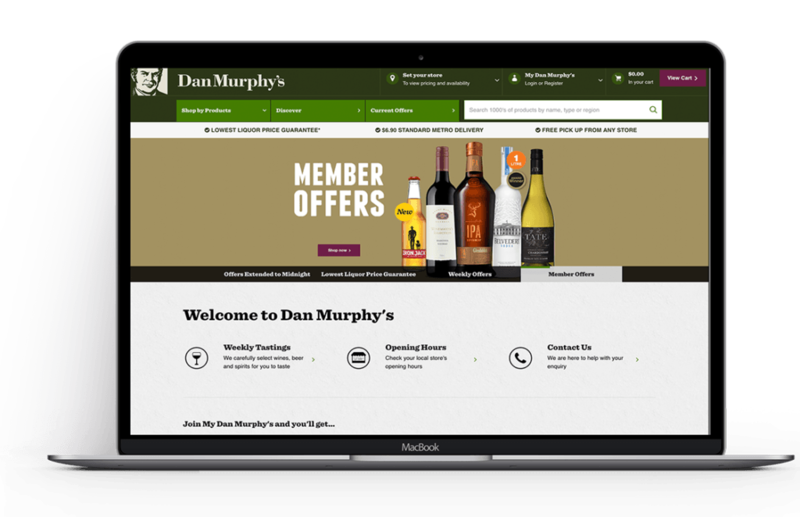 Dan Murphy’s can deliver a personalised experience, but also allow for member to discover opportunities at events based on their preferences or outside of their standard repertoire.